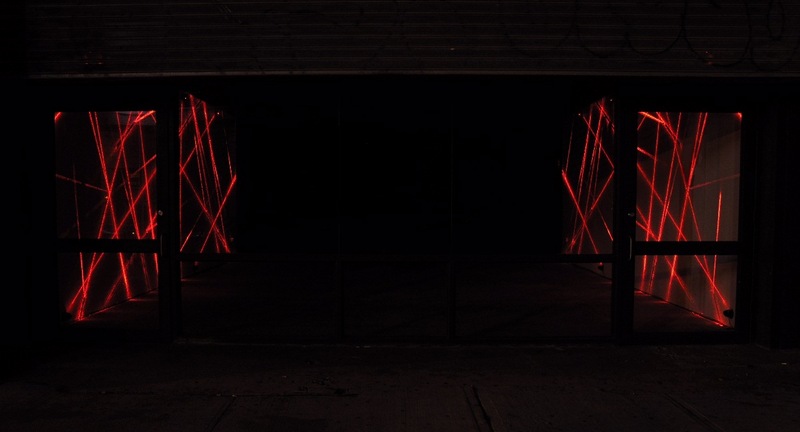 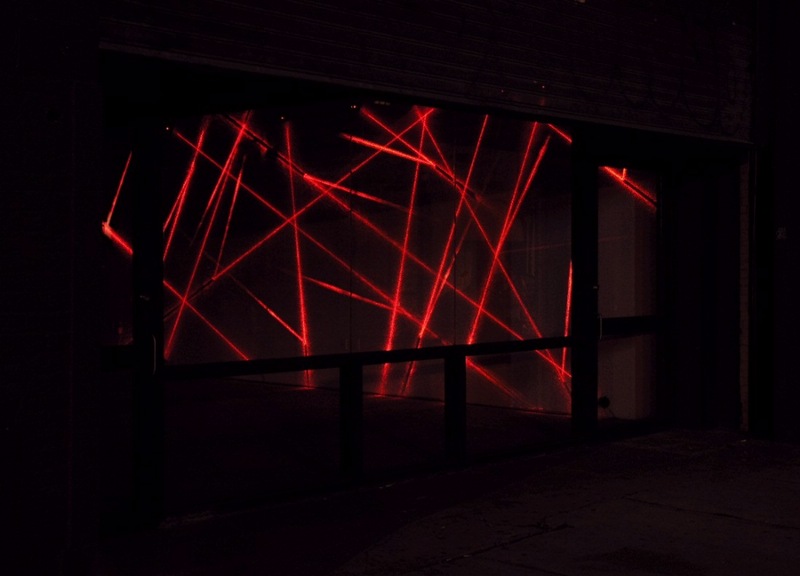 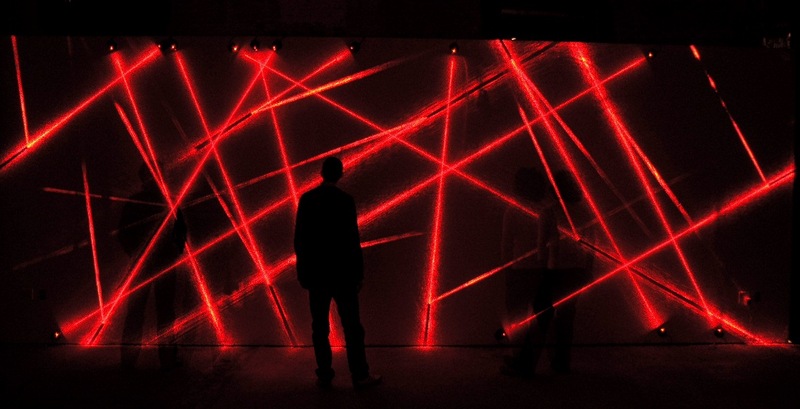 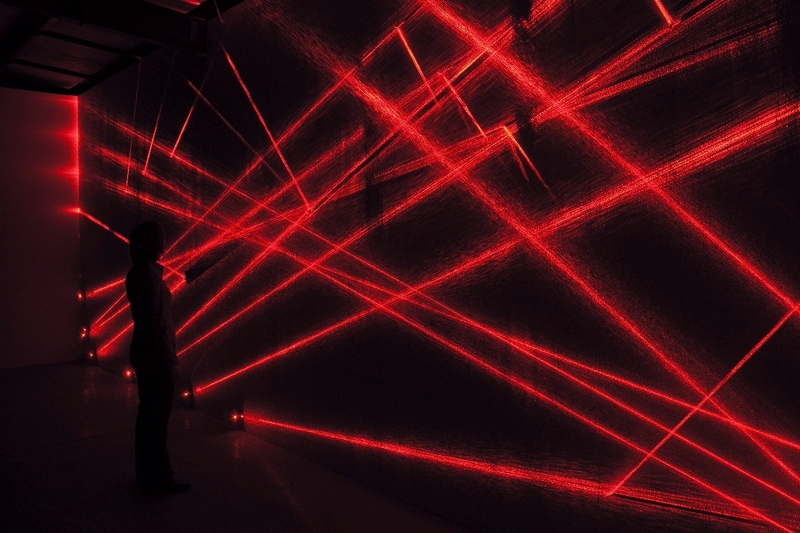 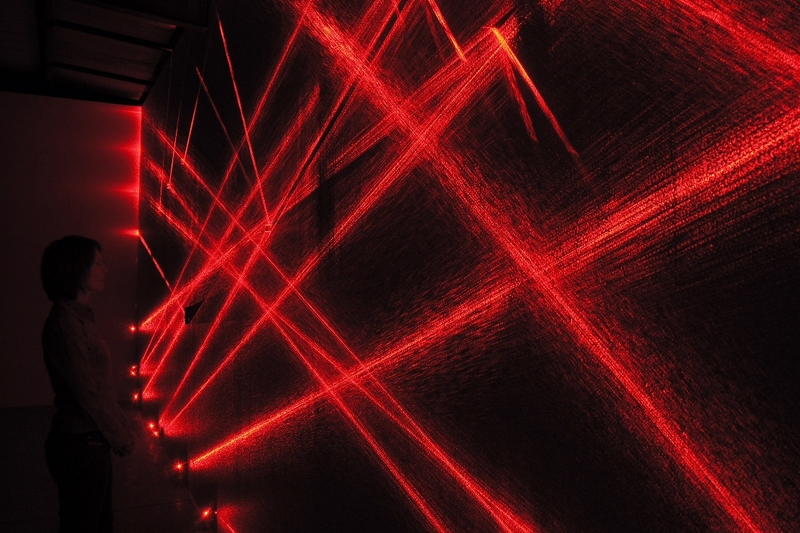 The Trajectories Series are ephemeral, site-specific wall drawings created with beams of laser light. 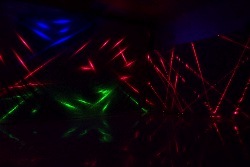 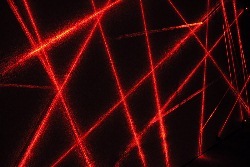 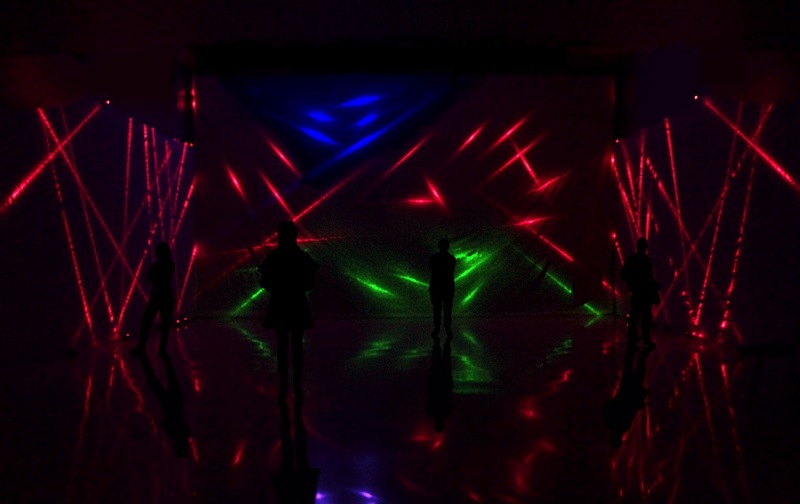 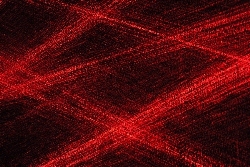 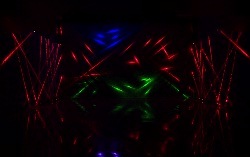 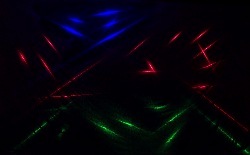 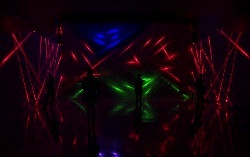 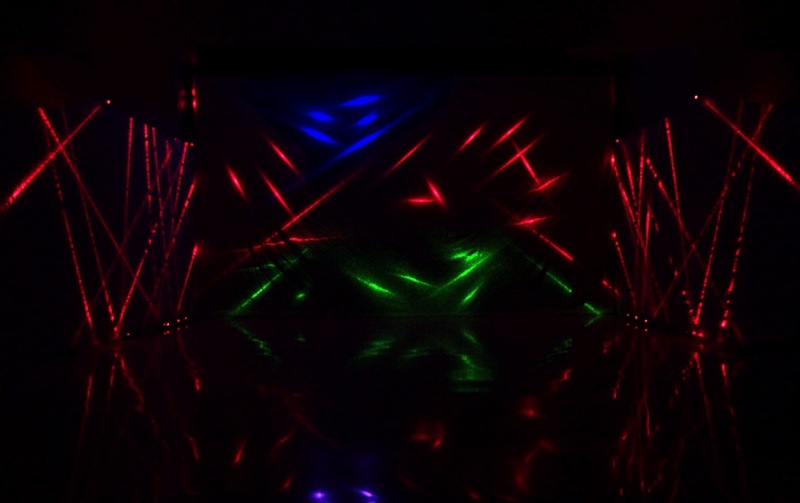 The light beams intersect the wall at very shallow angles, are rebounded by mirrors, and are dispersed by diffraction gratings which create a highly textured light beam. A visual complexity is created, suggesting a high-tech prehistoric cave painting. 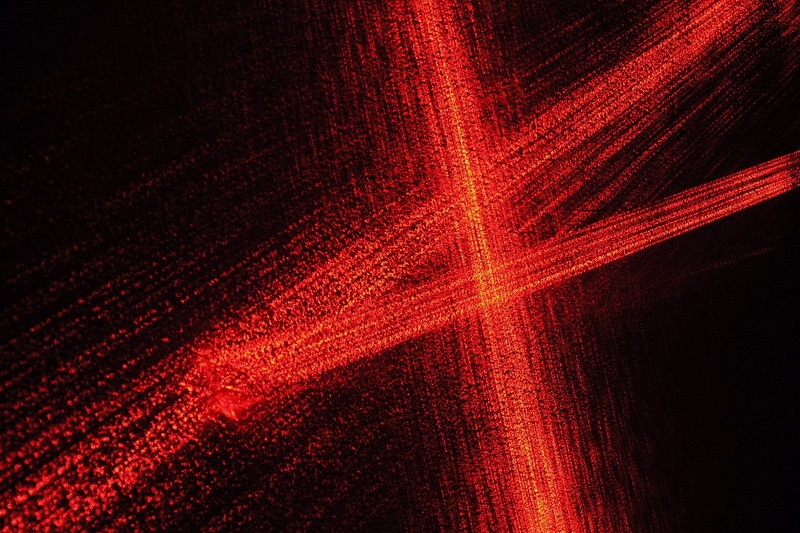 These pieces invoke the aesthetics of the physics lab. 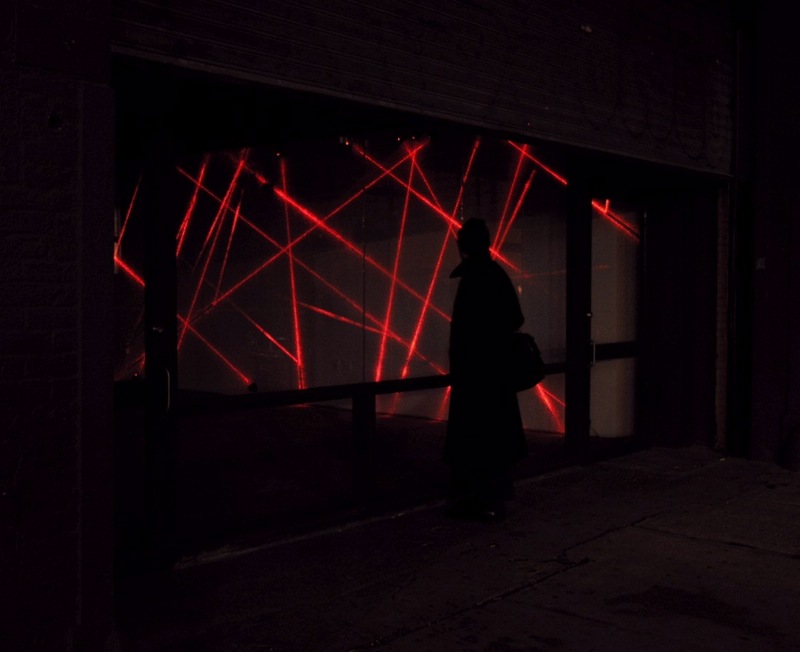 These laboratories possess an almost religious sense of place, comprising darkened churches of the scientific method while also having a more primitive and ritualistic cave-like atmosphere. 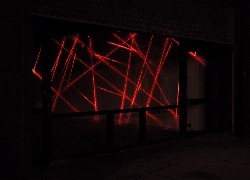 Trajectories employ unusual drawing tools reflecting my interest in mark-making with unconventional media such as meteors, clouds, dust trails, and wildfires. All of these media enforce a restricted marking vocabulary suggesting neolithic prototypical or incipient art. 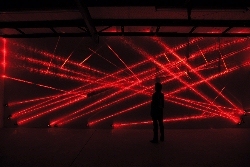 These pieces also evoke the ballistic trajectory of projectiles; bullets, artillery shells, and missiles. They conjure the incandescent trail of tracer rounds, the path of anti-aircraft artillery or "triple-A", or the luminescent trails of Iraqi Scud missiles and the American Patriot missiles arcing up to intercept them. 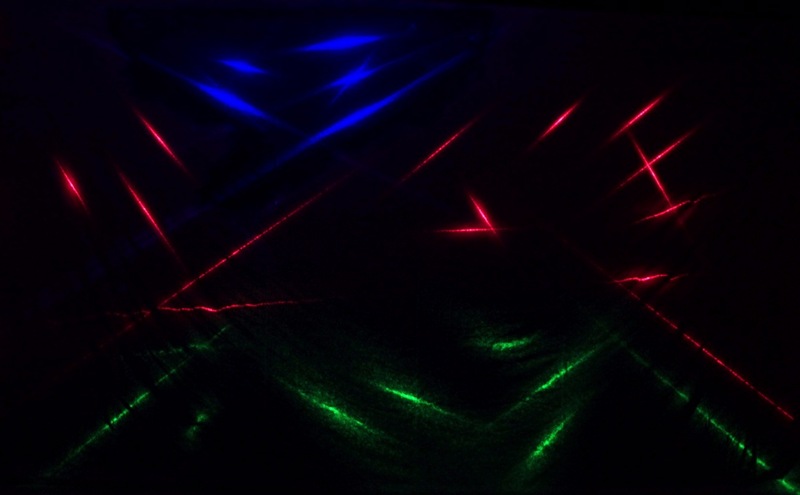 I have also been influenced by the Rayonists who were concerned with decomposing objects into the rays of light by which they make themselves visible. Drawing on their work is an example of how artwork which is technologically based can be art historically referenced, employing discoveries made by prior generations of artists who were responding to scientific discoveries of their era. 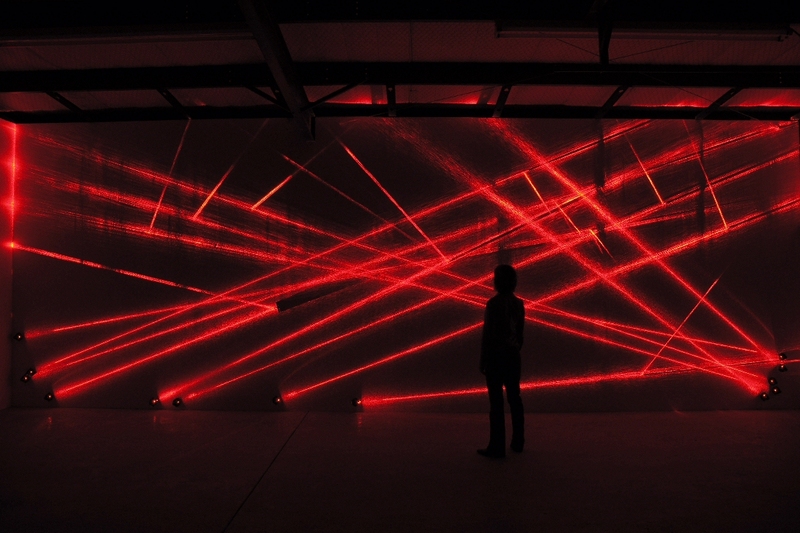 The intrinsic ephemerality of the pieces defies commodification. 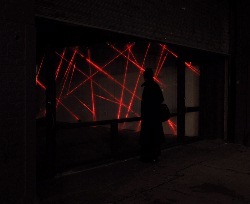 The drawing exists exclusively in the presentation space, only for the duration of the installation. It has no persistence other than through evidentiary recordings. There is no physical object to vend.